Most baseball fans remember Mickey Mantle, even though it's been 46 years since he played for the New York Yankees. He remains famous for his towering home runs and numerous World Series records he still holds to this day. During his playing days his Yankee teams played in thirteen World Series, winning seven of them. In 2005, I had the distinct privilege of interviewing Mickey Mantle's friend and former teammate – Yankee second baseman, Bobby Richardson, for an article for World Net Daily. During the course of this story, I also had the opportunity of interviewing Pat Summerall, another longtime friend of the Yankee Hall of Famer. 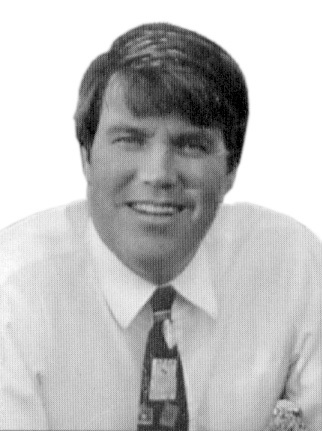 Summerall, you may remember, teamed with co-host John Madden in the 1980s & 90s on The CBS Game of the Week seen on televisions across America during the NFL season. (Sadly he died in April of 2013). Pat's friendship with Mantle dated back to the time he played for the NY Giants in the 1950s. 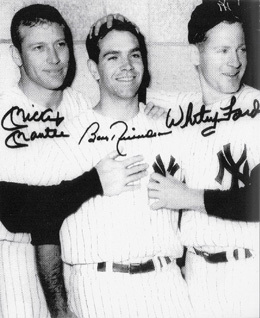 Bobby's friendship with Mantle began in the mid-'50s when Bobby first joined the Yankees with Mickey an already established star. Bobby faithfully shared his Christian faith with his friend and teammate, Mantle, who struggled with problems with alcohol. It continued for many years, even past their playing days. In 1974, Mantle was inducted into the MBL Hall of Fame. For the next fifteen years, Mantle made numerous guest appearances across the country. He also started several successful businesses, despite his personal struggles. In an interview with Sports Illustrated in 1994, Mickey courageously spoke of his battle with alcohol and its deleterious effect on his personal and professional life. Despite Bobby's best efforts to show Mickey God's way out, Mickey had no interest in learning more about Christ and God's love for him. By 1995, Mantle's health took a turn for the worse, and he was admitted to a Dallas hospital. By July Bobby got the call he had been waiting for. It was Mickey. He told his old friend that "he now trusted in Christ as his Lord and Savior." Apparently Mantle had seen a video on the life of Pete Maravich. "Pistol Pete" as he was known in his playing days, had also made a decision for Christ after he retired from the NBA. Maravich's commitment to Christ, as outlined in the video, made a powerful impression on Mantle. Bobby was so thrilled to hear the good news that he traveled with his wife from his home in South Carolina to visit Mickey in Texas. By the time he got to Dallas, Bobby was ecstatic to see his old friend. While he was deeply concerned about Mantle's physical health, Bobby was relieved to hear that Mickey had made a decision for Christ. There in the hospital room, Bobby and his wife prayed and shared scriptures with Mickey which further solidified the importance of their friend's new commitment to Jesus Christ. Several weeks later 'the Mick' died. To this day, Bobby is anticipating their reunion in heaven. Mickey's story is living proof that God reaches out to anyone who will receive His love. That is the whole message of the Gospel. It's all about a love story where the Creator of the Universe became a man and died in our place to restore our relationship with Him. Sin has separated us from God, but His sacrifice on the cross is the ultimate sacrifice for our sins. Christ simply asks us to receive this free gift and to follow Him. This is something you can do today as life is shorter than you think. Just ask Mickey Mantle.